Welcome to the May edition of Sarsen Technology’s News Bytes. It has been a busy month for product releases, with offerings from Trenton, BittWare, Tech Source, VersaLogic and General Standards. The S5-PCIe-DS (S5PE-DS) is a Gen 3 PCIe x16 card with an extremely flexible memory configuration: eight SODIMM sites enabling up to 64GB of DDR3 SDRAM, up to 4GB of RLDRAM3, and/or up to 256MB of QDRII+. With almost two million logic elements available (952,000 per FPGA), the board is ideal for high-performance computing, and with the reduced latency provided by the network interfaces, ideal for high frequency trading, military / government agency secure communications, and network processing applications. 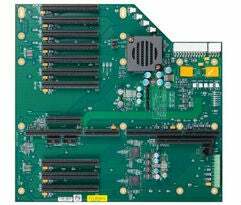 Trenton Systems has released the first backplane that takes advantage of the superior performance inherent in PCI Express 3.0 technology. The BPX8093 backplane supports the increased PCI Express 3.0 link speed and bandwidth capability with a robust product design that enhances overall system throughput as well as data communication reliability. Trenton’s BPX8093 PCI Express supports one PICMG® 1.3 single board computer and up to ten PCI Express I/O cards. Nine of these option card slots are PCI Express 3.0 capable. Each card slot uses a x16 PCIe mechanical connector to maximise system design flexibility by supporting a wide range of standard PCI Express I/O cards. Designed for use in mil/aero embedded applications, such as 360° airborne reconnaissance, the Condor 2106x XMC graphics card features factory configured dual HD-SDI or DVI video inputs. The HD-SDI inputs are in the form of raw uncompressed frames, so no video quality is lost due to compression and very low latency is achieved. Decoding, scaling, stitching and format conversions can be processed in the GPU with minimal CPU impact and an API is provided for customer integration. BittWare’s OpenCL Developer’s Bundle provides the tools necessary to begin developing applications for the Altera Stratix V using OpenCL. This development bundle gives developers access to the latest generation of high-performance FPGAs on a validated COTS PCI Express board, while also significantly reducing their time-to-market by using OpenCL kernels to target Altera FPGAs. The OpenCL Developer’s Bundle includes BittWare’s S5-PCIe-HQ half-length PCIe board based on the high-bandwidth, power-efficient Altera Stratix V FPGA. VersaLogic’s new Mini PCIe modules are all designed for high reliability in demanding environments. They are all rated for industrial temperature (-40º to +85ºC) operation and meet MIL-STD-202G specifications to withstand high impact and vibration. Unlike typical expansion boards, Mini PCIe allows additional functions to be added to a system with almost no increase in overall package size. VersaLogic’s Mini PCIe modules are RoHS compliant and include VersaLogic’s 5+ year product life guarantee for long lifecycle applications.